They’ve done it again. Seems every year I get to burn a post of praise on those magnificent come-back Redbirds, the St. Louis Cardinals, as the post-season begins. Did I mention, they’ve done it again? Just a couple of weeks ago it looked as though they would have to back into the playoffs as a wildcard, but thanks to some decent play on their part (again), the routine faltering of the Bravos, while the Bucs and Reds beat one another up, lo and behold, they’ve done it again! Best record means… home field. By the way, a word of consolation to our good friend Jeff on behalf of his Rangers. It’s all good though since he’ll be rooting red also, Sox that is. All together now, “GO CARDS!” Let the games begin cause they’ve done it again. 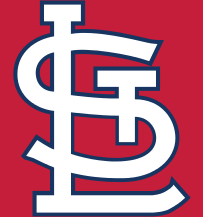 This entry was posted in St. Louis Cardinals and tagged Cardinals baseball, Cards make playoffs again, MLB playoffs, National League, Playoffs, Redbirds, St. Louis Cardinals. Bookmark the permalink. I guess this equals how I feel each year, for just three matches between New South Wales and Queensland in the State of Origin series. We have won the last EIGHT YEARS!!! Those three matches are the biggest event in our sporting history, even to those who don’t follow Rugby League. Go Cards. Been my favorite team since childhood. They might go all the way again. I see Red Sox, people. 🙂 O how time will tell. Yes, for some amazing reason all of us Cards and Braves fans root for both, we just lean a little farther toward one. 🙂 Pretty obvious which way I lean,eh? Blessings good friend.